Be captivated by the magic of this diamond ring from the Enchanted Disney Fine Jewelry collection. Inspired by Cinderella, the ring features a gorgeous design with a cluster of diamonds. Carefully crafted in silver, the design below the diamond cluster resembles Cinderella’s carriage to the ball. A purely silver ring, the glimmering diamonds provide an elegant finish. 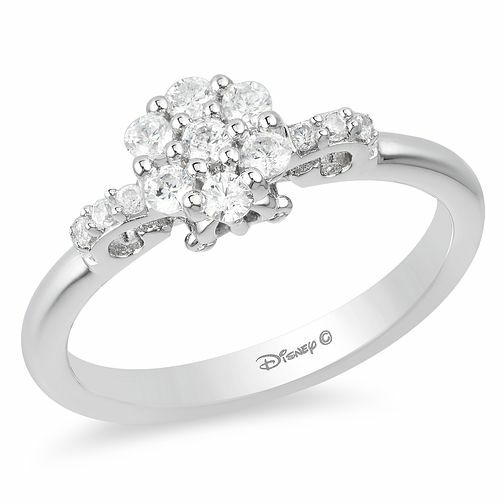 Enchanted Disney Fine Jewelry Diamond Cinderella Ring is rated 1.0 out of 5 by 1.